Do I need to bring the temperature down? 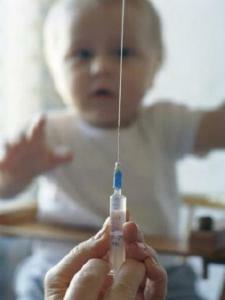 Very often the child's body responds to vaccination with increasing temperature. What do the mothers in this case? 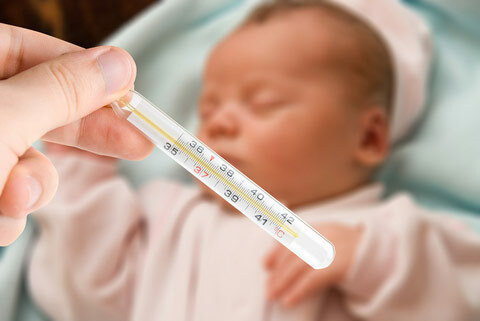 Pediatricians agree that to bring down the temperature below 38.5 degrees is not worth it. This is a natural reaction of the body to the antigens contained in the vaccines. The fever can last from 3 hours to a half day. If within 2 days the temperature is not reduced, consult a doctor. To ease the baby non-pharmacological means. In any case, not Kuta the baby in a blanket. On the contrary, remove all excess clothing. To reduce the temperature 1-2 degrees will help the body with cold water. Yes, the procedure is unpleasant, but very effective. If the temperature is above 38.5 degrees, the child needs to give a drug containing paracetamol. It can be a syrup or candles. Their action is different. The syrup is absorbed into the bloodstream very quickly and takes effect within 15 to 40 minutes. A candle starts to work in 1-3 hours, so it makes sense to put on the night. If you are unable to bring down the temperature of an infant within 3-6 hours, be sure to consult your doctor or call the ambulance. Remember that young children have a high fever can cause seizures, so don't delay medical intervention. For three days before vaccinations give your child antihistamines. This will prepare the body crumbs to the adoption of the vaccine and reduce the possibility of allergic reactions. Before using the medication please consult with your doctor. Only he can appoint the medicine. On the day of vaccination be sure to bring the child for examination to the local doctor. The doctor will measure the temperature, listen to heart and breathing of the baby. Don't forget to vaccinate only perfectly healthy children. Upon the slightest suspicion of respiratory disease, refrain from vaccination until complete recovery. Vaccines vaccinations are constantly being improved. Doctors are working to resolve adverse effects, and the benefits of vaccinations far more than harm. Therefore, solving, whether compulsory vaccination is your child, not only rely on the opinions of the negative attitude of moms in online forums. All your doubts can dispel immunologist, correctly and clearly describing what is in a particular vaccine and what effect it has on the child's body.